Margie Aliprandi is a self-made multi-millionaire focused on lifting others to millionaire status. It is her purpose, passion and joy to help people bring forth their inherent greatness and leverage it into abundance. 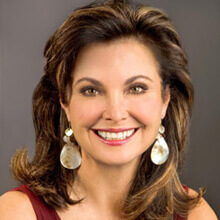 From a lifetime of teaching, entertaining and mentoring, she brings big ideas and evidence-based solutions to her work as entrepreneur, author, trainer and speaker on personal development, optimal health and longevity, and peak financial achievement. - 1st-ever Crown Diamond, highest rank in her company - 1st year: Achieved 5-figure monthly income - 3rd year: Achieved millionaire status - Built team of 250,000+ members spanning 29 countries - Ranked in top 1% of network marketing producers worldwide - Has ranked #61 among top 500 network marketers worldwide Her desire to help people "grow themselves" took root when she was a nine-year-old reading Russell Conwell's Acres of Diamonds. It was her first exposure to the concepts of self-help and personal growth. Combined with the influence of her parents, these concepts ignited fires within. She wanted to apply them to herself and help others do it, too. When she was later crowned Miss Teenage Utah and then Mrs. Utah, her service as a role model found her delivering motivational speeches everywhere. Self-esteem, setting high standards, pursuing big goals, how to be truly happy … her love for these topics would shape her destiny as a personal development expert. She didn’t know it then, but the network marketing profession, with its reliance on high-level personal growth and its people-helping-people business model, would become the logical outlet for her emerging purpose. She went on to build one of the world's largest direct sales organizations, and is now a network marketing icon. She did it from nothing, with nothing except a big open heart, that drive to support others, and the force of her single-mom will to create a better life for her children. Now through her writings and worldwide personal appearances, she shares the time-tested principles and fresh new strategies behind that success. They work in any business for anyone who aspires to continuous personal growth and its fullest rewards: Author of audio programs: - Millionaire Mindset - Energy of Success - The 10 Proven Principles for Reaching the Top of Your Pay Plan Author of ebooks and paperbacks: - How to Get Absolutely Anything You Want - Take Charge, Heal Yourself - The Complete Guide to Network Marketing Success - Co-Author: The Best, The Worst, and the First: Reflections of 77 Network Marketing Experts Featured in the movies: - Pass It On Today - Go For No Spotlighted in books, including: - John Milton Fogg’s Greatest Networkers in the World - Mark Yarnell's How to Become Filthy, Stinking Rich through Network Marketing - Richard Brooke’s Four Year Career So far Margie has helped over 1,000 people become millionaires, and she has only just begun!